SOLIDWORKS Electrical Schematic is a powerful suite of purpose-built, easy-to-use, collaborative schematic design tools to meet the specific needs of electrical design engineers as well as electrical/mechanical design integrators. 2D schematic design capabilities simplify development of embedded electrical systems for machines and other applications, with single-line and multi-line schematic tools for planning your electrical systems. An integrated library database provides thousands of symbols and millions of manufactured parts for use in your design, and you can speed up development by copying and reusing common circuit segments within a project or to other projects. Teams can work concurrently to reduce development time, and automated management tools streamline design of complex PLC connections. You can easily generate drawings, wire lists, “From-To” lists, and other documentation for manufacturing. Which SOLIDWORKS Electrical Schematic package is right for you? Ideal for the electrical/mechanical engineer that needs a single user schematic design tool for 2D electrical and control system design. Quickly develop embedded electrical systems for equipment or manufactured products. Automate tedious design tasks from PLC and terminal block to contact cross reference assignments. Reuse common circuit segments with the integrated macro functionality. This software package allows you to generate drawings, wire lists, from-to lists, and reuse designs. Is SOLIDWORKS Electrical Schematic Standard* right for you? Let us help you decide. Ideal for the electrical engineer that needs real-time collaborative schematic design tool for 2D electrical and control system design, rapid development of embedded electrical systems for equipment or manufactured products. Automate tedious design tasks from PLC and terminal block to contact cross reference assignments. Reuse common circuit segments with the integrated macro functionality. 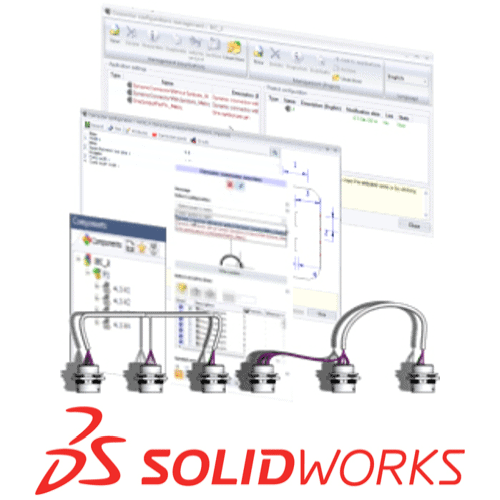 This software package allows real-time collaboration, SOLIDWORKS PDM integration, and more automated features. 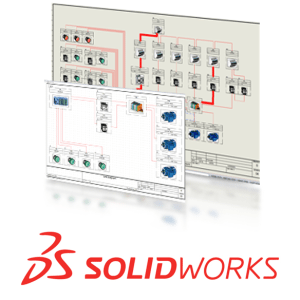 Is SOLIDWORKS Electrical Schematic Professional right for you? Let us help you decide.